The oil and gas industry offers lucrative career opportunities. Internet job boards have made the task easier for employers and job seekers. Companies today receive numerous applications that need screening to filter out substandard candidates. Telephonic interview is usually the first step in the recruitment process. It is used for both pre-screening and post-interview to acquire talented professionals. In cases where a candidate resides out-of-town, the complete job interview can be conducted over the telephone or via an audio-visual aid. Job seekers usually get tensed about the telephonic interview because they feel they will not be able to express themselves better and might be less impressive. There is also a category of job seekers who take telephonic interviews casually. However, the importance of telephonic interviews cannot be ruled out and yes, we agree it is tricky to impress an interviewer over a call. But if you follow the tips below, you will certainly be successful in your attempt. Identifying the red flags (lack of communication skill, interpersonal skill, irrelevant work experience, poor academic background, unethical behavior) before you move to the next round. Once you are aware of the purpose of the interview, you can plan and prepare better. Telephonic interviews are scheduled based on a mutually agreed date and time. So, make sure if the interviewer asks you for an available time slot, you provide a time where you will not be interrupted by background noises, family, friends or colleagues. 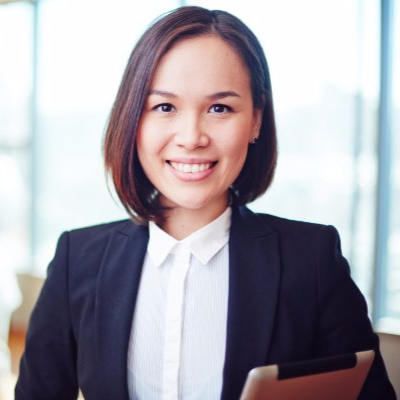 However, if the interviewer shares his time slot and you are not comfortable with it, you should request for rescheduling to a later time or date. Even if you receive an unplanned call for an interview, you can politely request to reschedule. Learn about the current company through their website and social media. Go over the employee review of the company and learn about the work culture, company performance and other initiatives by the company. It is advisable to take notes. Check your resume and update it with any relevant information that you feel is missing. Try to highlight the skills and expertise that the current job role requires to increase your chances of selection. Prepare a cover letter, and specify your willingness to travel and relocate during your tenure as most oil and gas jobs require it. Read the job requirement carefully because it will give you a clear hint of what they are expecting from you. Make sure during your interview, you emphasize your achievements that relate to company expectations. Prepare a list of skills that match the job requirement. Make sure you are not distracted by your surroundings. So, switch off the TV and other audio/visual devices. Look for a quiet spot where you do not get disturbed. Create a comfortable setup and have your notes, resume and job description nearby for easy access. Remember, the interviewer can easily detect your distraction if you are delaying your responses or are not responding in an expected way. So, don’t ruin your chances by not focussing. If you are expecting a call from the interviewer, be ready and wait for the call. Make sure you are seated comfortably at the position pre-decided by you and you have all the necessary documents along with a notepad. When you receive a call start the conversation by introducing yourself. However, if the interviewer expects you to call, make sure you call on time, introduce yourself and explain the reason for your call. 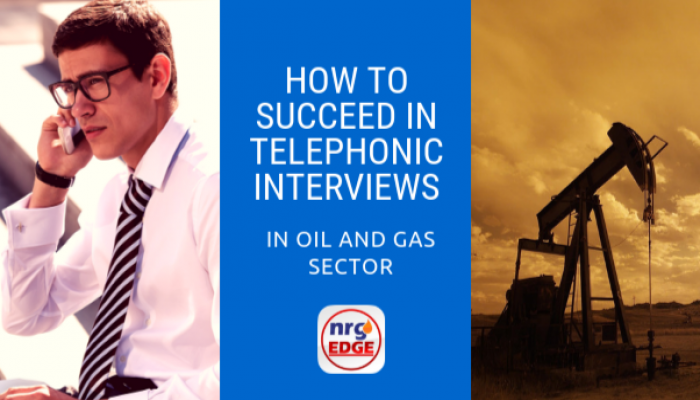 Rehearse your answers- There are common questions in the oil and gas industry which most employers ask in an interview, make sure you go over the FAQ and prepare the answers in advance. Additionally, go over the job requirements and prepare small notes on each section where the question can be asked. Back up all your answers with relevant work experience, project data, skill, and qualification. Rehearse your answers to appear confident. Standing up allows you to breathe comfortably, speak clearly, staying alert and appear confident. Make sure you stand up while answering and pin the reference material at your eye level on the wall. Do not walk around too much to avoid breathlessness. When you smile, your tone of voice lifts and you appear more enthusiastic and positive. Even though the other person can’t see, the impact is conveyed. Dressing up for a telephonic interview might sound silly but it does have an impact on your approach. If you are in shorts and a t-shirt you get too casual and laid back but when you are in formals, you automatically turn professional in approach. So, dress right to impress. Handle silence with patience- During the interview there will be silent moments where you will be tempted to talk unnecessarily just out of anxiety. But, know that the silence is natural it does not require a coverup. The interviewer needs time to write notes or read the next question or refer to your resume. So, stay calm and patient. Talk sensibly and only when required. Be prepared to answer uncomfortable and tricky questions- Most of the times, the telephonic interview is designed to filter out substandard candidates. Therefore, any red flags that the recruiter encounters in your resume e.g. employment gaps, disciplinary actions, job hopping, getting fired, incomplete degree and so on will be critically questioned and reviewed. So be prepared with genuine answers to these questions. Be honest and provide your reasons. Also, suggest the way you have worked on or plan to overcome those issues. During an interview, it is always the interviewer who must signal that the call is over. Until you get the hint, do not rush. Once the interview is over, the interviewer will ask you for any final questions. This is your chance to clarify any doubts that you may have regarding the company, your position, job role and so on. Ask relevant questions. Try to avoid talking or negotiating your salary over the call. Meet in person to do the needful. As soon as you wind up the call, send a thank you note by email. If the interviewer has provided any dates for the results, consider following up. Even if you do not receive a call after a week, you may shoot a quick email enquiring about the process and update. The success of your telephonic interview depends on your preparation and the above tips. If you have not qualified despite being good in the interview, then you might not be suitable for the job role. You must keep looking at relevant job openings at a dedicated site like Nrgedge for oil and gas related opportunities.